The Providence Foundation is supported by more than 140 leading corporations, nonprofits, and public sector institutions. 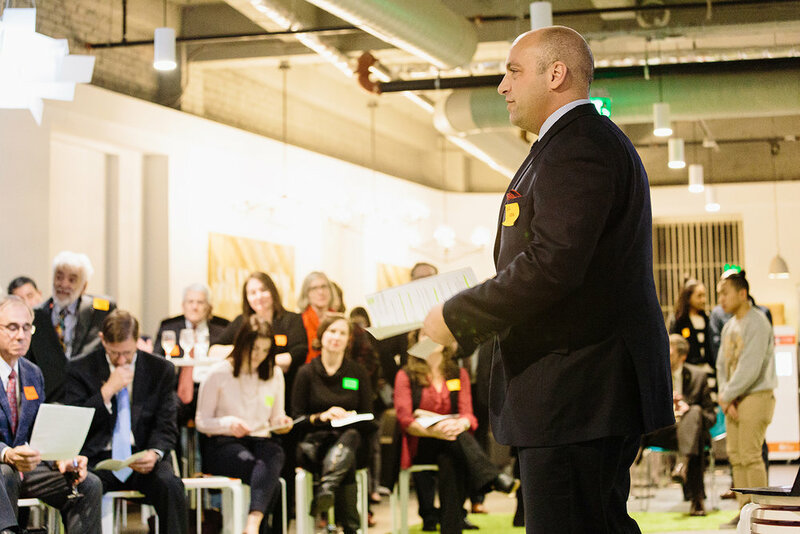 As a member, you can help shape the agenda for the future of downtown Providence. Collaborate with public and private sector leaders on critical infrastructure and economic development projects. Network with a dynamic group of business executives, public sector administrators, and community advocates at our monthly meetings. Hear guest presentations from Rhode Island’s top thought leaders in government, as well as the private, institutional, and nonprofit sector. Join committees to address issues important to you and your organization. Add your voice to the current decision-making that affects the future of our city and state. Contact us for more information about becoming a member. Executive Director Cliff Wood speaks at The Providence Foundation's Annual Meeting. Providence Foundation member speaks with Mayor Jorge Elorza.